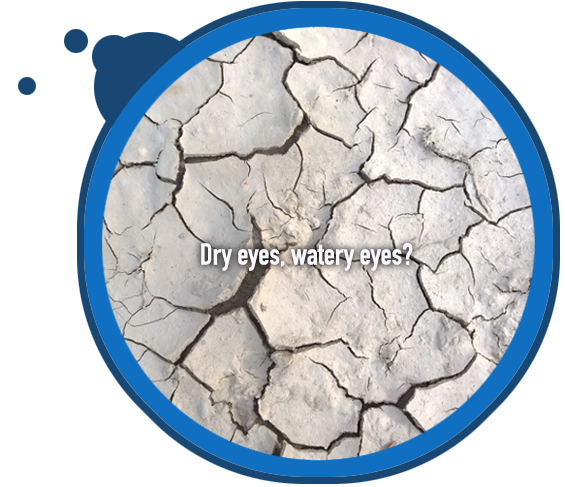 Before looking at more invasive options, like punctal plugs or other plug-n-drop methods, consider these general tips on dealing with Dry Eye by the leading Dry Eye doctor NYC. Here’s where we get into DHEA drops (addressing hormonal factor in dry eye), or volunteering to be a guinea pig in a clinical trial. In some cases, depending on the cause, there may be reason to explore certain surgical approaches such as tarsorrhaphy (partial surgical closure of the eyelids to limit exposure) or other eyelid interventions. Some eye doctors are proponents of amniotic membrane transplantation (specifically in cases of conjunctivochalasis) though we have not seen evidence that dry eye patients are benefitting from this. For additional options see the links below or call our offices. Traditional "first-line" treatment for dry eye, while evolving rather noticeably these days, basically still revolves around the concept of plug-n-drop. No matter what the actual diagnosis (aqueous deficiency vs. meibomian gland dysfunction) this seems to be the default treatment. There are infinite variations according to the preferences of the physician. Some doctors may favor more plugging and less dropping, others may favor dropping and no plugging, some like steroids and some don't, some are big Restasis fans and others aren't. But in some form or another, before any other dry eye treatment you're sure to be given some drops and/or have plugs placed in your tear ducts. An introduction to plugs including concepts, materials, designs, duration. Your eyes deserve some special treatment too! The Dry Eye Center at our Midtown NYC practice and West Orange NJ practice offers a relaxing dry eye spa treatment to get your eyes feeling rejuvenated.